Playing retro games are always bringing you the old school memories and make you play excellent story plot stuff on your device. However, we could see more than a vintage level of games; people would like to prefer on the games, which satisfy the massive level of graphics comprised of accurate manner. But still, you lacks the punch of storyline which usually leads to lack of interest at the end. However, the people who show their interest towards downloading latest smart games still get a turn for vintage games. 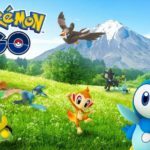 We all know that bringing back those old games to the device like iOS platforms is not possible. However, the fact is you can create an opportunity by own and allows the vintage games like Nintendo DS games on your iOS devices. So, people who aren’t aware of the stuff that includes vintages games can check out here at any time. Here we are providing the stuff related to the process required for downloading the games on your iOS devices. Yes, we are talking about the process called iNDS for iOS 11. It is the best way where you can easily bring out the old games on your iOS devices. 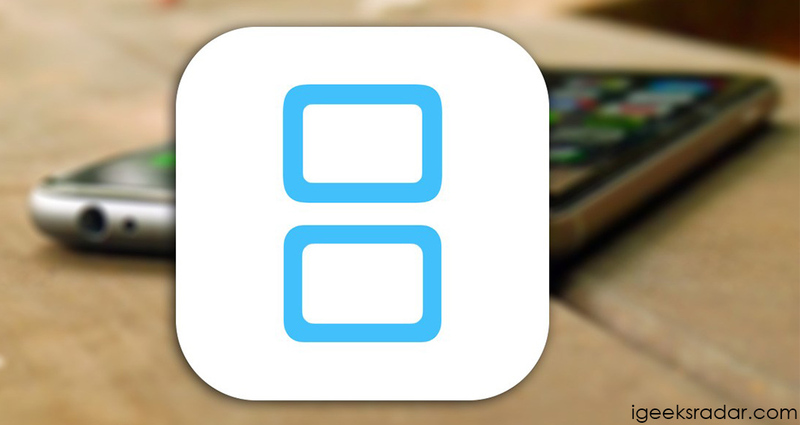 It is mainly considered to be one of the best iOS emulators to download and install. One should know that this emulator was available only for the jailbroken devices. To play your favorite games, it requires a jailbreak on your device long back. But now the things have been changed, and this emulator does not need a jailbreak on an iOS device when it comes to the installation process. The iOS users who all are looking for games to download on their device can prefer iNDS at any time. If you are looking for the steps to install this emulator on a device, then you can follow the below stuff provided here. The given functions provided for the users will be useful to know that before going to download and install. Let’s have a look at the features for your reference. It has the option where you can browse your favorite games within this application. Here it has the feature like autosave. Whenever you leave the game in the middle of gameplay, then it will automatically save your game and helps to resume your game without any difficulties. In case, if the game data of iNDS for iOS 11crashed, then DropBox helps to recover it. iNDS helps to enhance the best level of gaming experience comprised of various options like control settings, frame skip and disable sound. Some of the exciting features to follow before going to download and install this emulator on your iOS device. 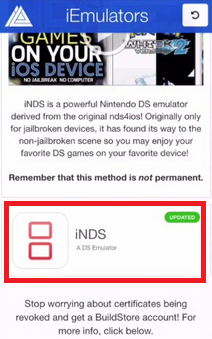 Have a quick glance on our similar article on “NDS4iOS Emulator on iOS“. 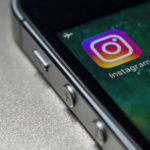 When it comes to downloading process, it doesn’t require a jailbroken device. If you find any crash while using, then make sure to redownload this app. Before the installation, the user should download only ROMs for games. It also supports the lower versions like 10, 10.1, 10.2 and 10.3 also on iOS devices. 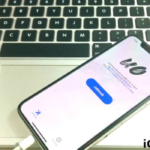 IPA Method: iFile IPA File Download for iOS(iPhone/iPad) No Jailbreak 2018. It is essential for all the users to check out the steps when it comes to download and install this iNDS on your device. The users of iOS who all are seeking for the steps with requirements, they need to follow the respective steps. Here we are discussing some of the simple steps to follow for downloading the emulator on your device without any difficulties. Hope the seekers of iOS devices will make use of these steps. Firstly, the user needs to tap and open the Safari browser and launch http://iemulators.com/inds. Now, navigate towards Install button and tap to install. Wait for few seconds for the popup to appear and confirm whether to install it. 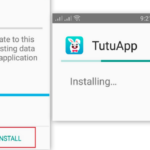 It is essential you to tap on Install option. After the installation process is done, you can’t directly open the application to use. Once if you opened, then you will see the error popup window message “Untrusted Enterprise Developer” and make sure to click “cancel” button. Visit Settings -> General -> profiles & device management and click the option Trust of the iNDS emulator profile. Finally, you are now ready to launch the application and download your favorite NDS ROMs according to your wish. 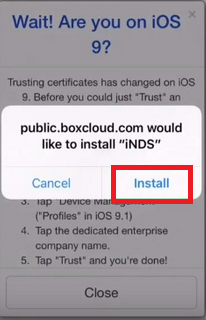 By following the above-given steps, you can proceed to download and install iNDS for iOS 11 at any time without any difficulties. Best Alternative App: Delta Emulator on iOS 12, 11.3 and iOS 11+ iPhone/iPad 2018. To download Nintendo DS games on iPhone devices, the above-given stuff will be the best thing for you to proceed. Also, it doesn’t require any jailbreak on your iOS device to install successfully. For more details related to the installation process, you can check it above.